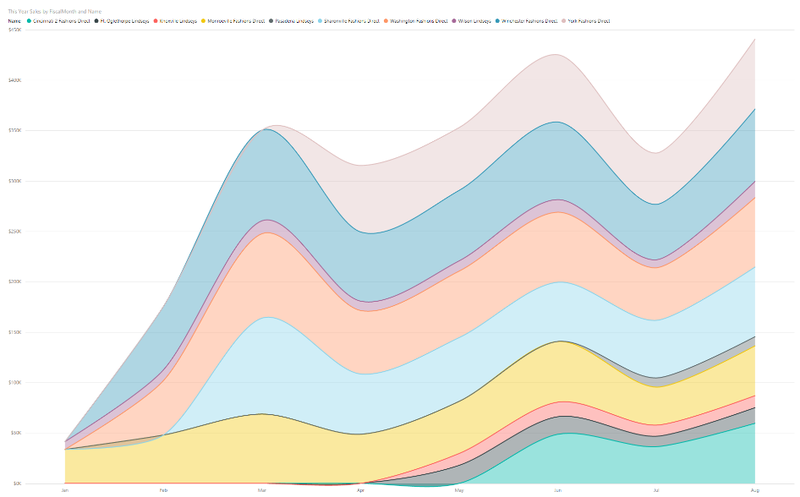 The Power BI Best Visual contest is really heating up! We’re entering the last week – the contest submission deadline is October 1st, 2015. 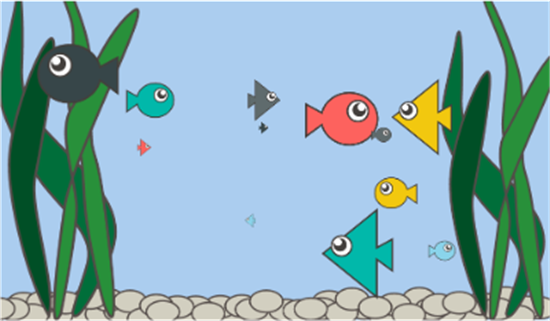 We’re excited to announce the second People’s Choice Award for the Power BI Best Visual contest goes to Power BI Aquarium*. 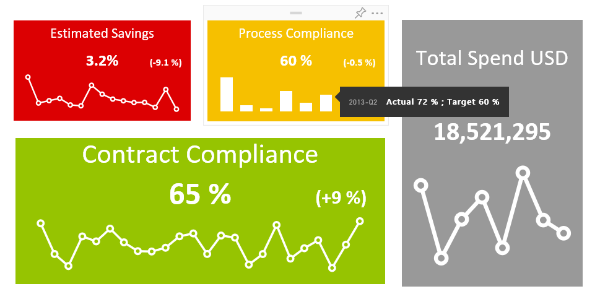 This visual clearly demonstrates how you can push the boundaries of traditional data visualization with Power BI. This visual is sure to be popular with the seafood industry :). Goes to show that being creative with your entries really pays dividends! The People’s Choice awards are given to the entries that generate the most tweets and retweets on Twitter. Keep those tweets coming! The Power BI Best Visual Contest deadline is October 1st, 2015. You have time to submit an entry! To get started visit the contest home page. There’s a total of $12,000 in prizes including one more People’s choice awards we’ll give out in the coming weeks. Next week, we’ll announce the last People’s Choice award. Then we’ll start the judging for the Grand Prize of $5,000. It’s not too late to vote for the other entries! Be sure to check for new entries often on our contest home page. Take a look at these great entries and click the link to vote links below if you want them to win a People’s Choice award! The calendar visual shows dates on a calendar. 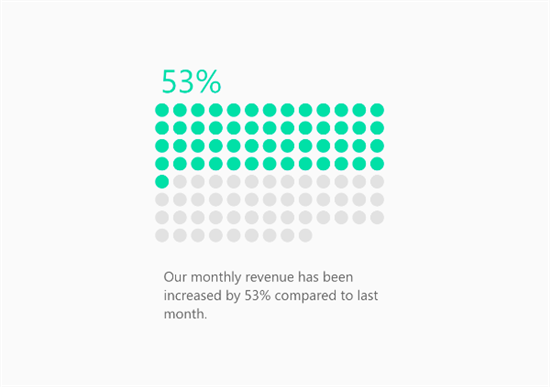 Visualize a single percentage value with a nice, fancy chart of circles. It allows you to bind one percentage value and a description text. Perfect for dashboards with simple data. The Voronoi Map applies Voronoi tessellation to a set of geographic points. Voronoi tessellation essentially partitions a set of points into regions such that any other point in a region is closest to the original point associated with that region. Regions are shaded according to their category, but more importantly, their relative weight. 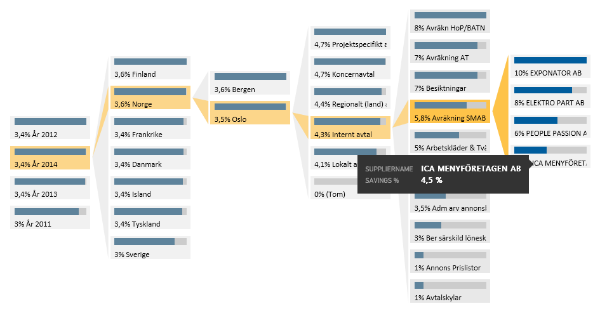 For example, in the image below, stores which have a higher sale per year are darker. Circular markers are placed at the geographic point from which the Voronoi tessellation was computed and has variable radius depending on the same weight that the shade of the region is computed with. The visual is completely interactive, as can be seen in the video. Enjoy! 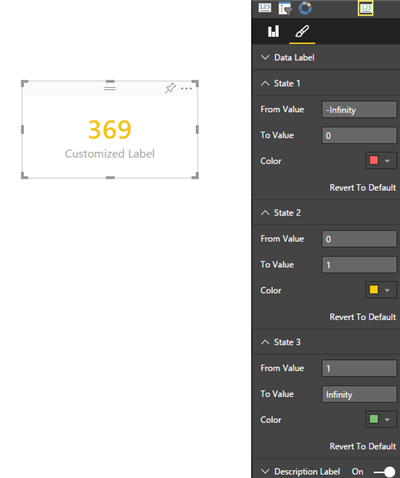 Based on the Power BI built-in Card, this visual allows you to bind a performance value and define up to 3 states that determine the color of the main label. The Category Label is fully customizable. This visualization is all about visualizing Key Performance Indicators. The status is presented as a color indication, comparing the actual and target values. Deviation is presented as distance in percent of actual from target. The history (trend) is presented as a line or a bar chart. It is up to the user to decide which granularity of history that should be displayed. Any dimension attributes can be used, but it’s recommended to stick to the ones in your date dimension. The stack chart is essentially an area chart where instead of the sections overlaying each other, they are stacked on top of one another. 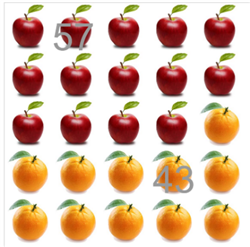 This chart is particularly useful when analyzing the sum of values for categories with individual contributors. 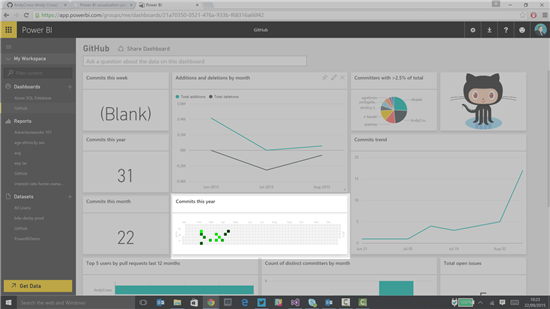 The visual has complete integration with PowerBI. Labeled Histogram is a histogram with a twist. As a traditional histogram it shows the distribution of a single variable in form of the column chart. In addition to that Labeled Histogram shows the label of each data point displayed in the column itself so you can see to which histogram bin each data point belongs. As an example a distribution of the employment to population ratio across different countries is plotted. Infographics Style! Ever wanted to build an infographic? 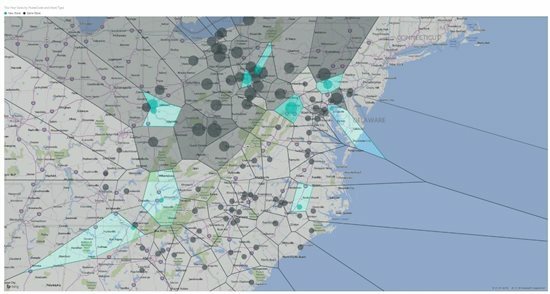 Now you can with PowerBi! 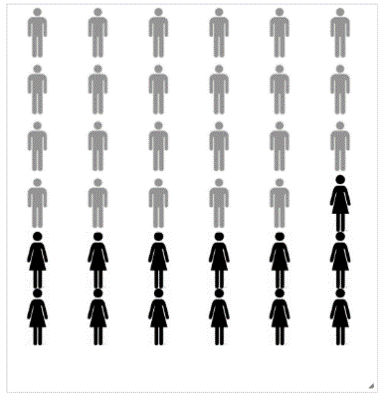 The Infographic Visual uses your chosen icons to portray data in ratio and as beautifully as you can imagine! The Breakdown tree makes it possible to visually display the full drill-down path of a measure. 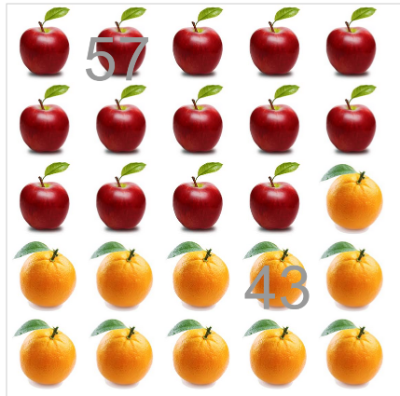 By keeping all levels in the drill-down path visible you will get a good overview of how your numbers break down, from the top level to the details at the bottom. The contest ends on October 1st, 2015. So submit your entries. We’re excited to see what the community comes up with! Go to our contest home page to learn more.